As a club we are committed to supporting the development of all our volunteers. 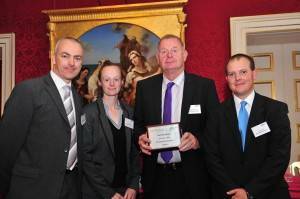 Club representatives receiving a National Award for Volunteer Management, particularly Coach Development! The level of commitment of our coaches is so high that many people believe they must be being paid for the services they provide to club members, nothing could be further from the truth in fact as a consequence of the time they commit to the club they are all probably well out of pocket. None of them even claim legitimate expenses! Steph & Dan (Xperience Archery) are full time coaches but their income is generated from outside of the club, their services are entirely free to the club! The club has invested a lot of time over the past few years to running Level 1 Coaching Courses and supporting all those members taking the qualification. As a result we now have 19 coaches operating within the club and the across the after-school clubs. Kath Fitzpatrick talking to Level 1 Coaches. In addition to this we have many Coaching Assistants, which we hope will eventually go on to become coaches. The newley formed ‘Club Development Centre’ is focused on the development of coaches as much as on the development of our archers! All members that are seeking to develop to their full potential, regardless of what level that potential is, should be supported to do so. Coaching is about the whole individual not just about technical excellence. Our coaches are volunteers and we should respect the levels of commitment and their areas of coaching interest, they are able to commit to any given time. ‘Hands on experience’ is crucial to the development of any coach, as a big club and with such a high number of practice sessions, this has to be a real bonus for the development of our coaches! Engaging parents in the coaching process from the first day of a beginners course is essential. All ages and bow types should be supported. If we do not have the required expertise/capacity, we should find it and find the most cost effective way to access it. The club should seek to provide appropriate workshops, training sessions, CPD programmes etc and where possible fund those programmes. Where a coaching requirement exists that we cannot support in house we should actively seek to find the best provider and signpost the solution to the individual. 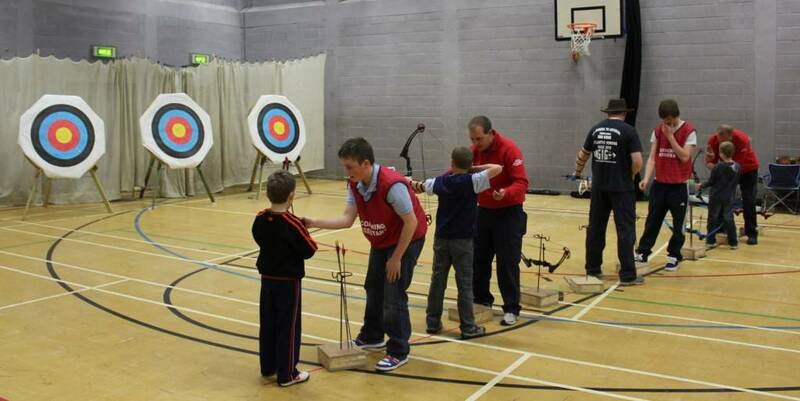 We should ensure our coaching practices are consistent with those being taught by Archery GB. We should recognize that we have a role to play in the wider Archery Community and where appropriate seek to do so. Where the opportunities exist we should actively seek to apply for grants and to gain recognition for the fantastic work our coaches do. We should conduct a ‘Coaching Satisfaction Survey’ of members on an annual basis. To ensure we paint a balanced picture of coaching within the Club, we need to say that we are far from perfect on some of these principles! The recent Ontarget ‘Performance Specialism’ Application Form and criteria has helped us to identify priorities to improve in a number of areas. Club 1 day 1st Aid Training Course. 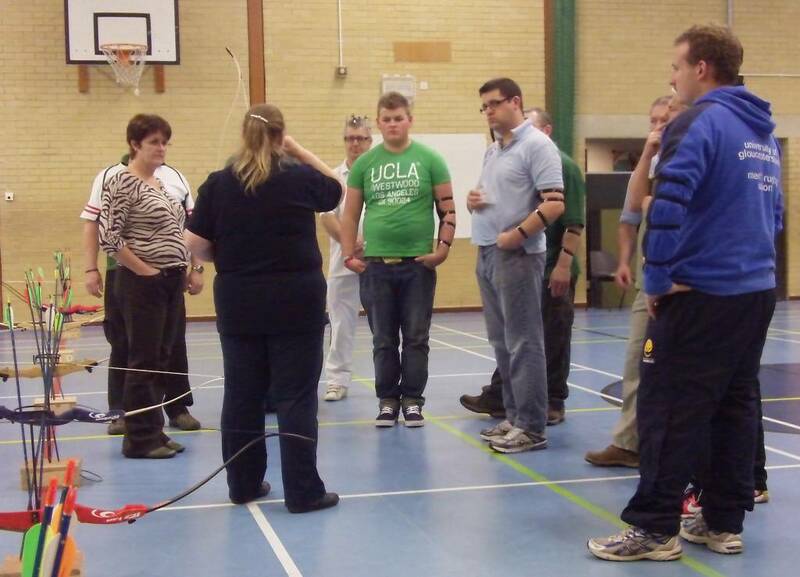 2 Coaches attending the Archery GB Performance Unit CPD Programme. 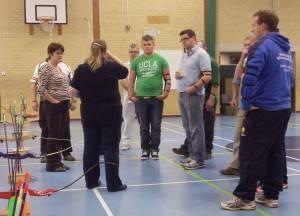 Coaches attending the Archery GB Consultation on Disability Strategy. Coaches attending a club Development Centre 1 day programme. Coaches attending an in-house workshop on the CPD Performance Programme. 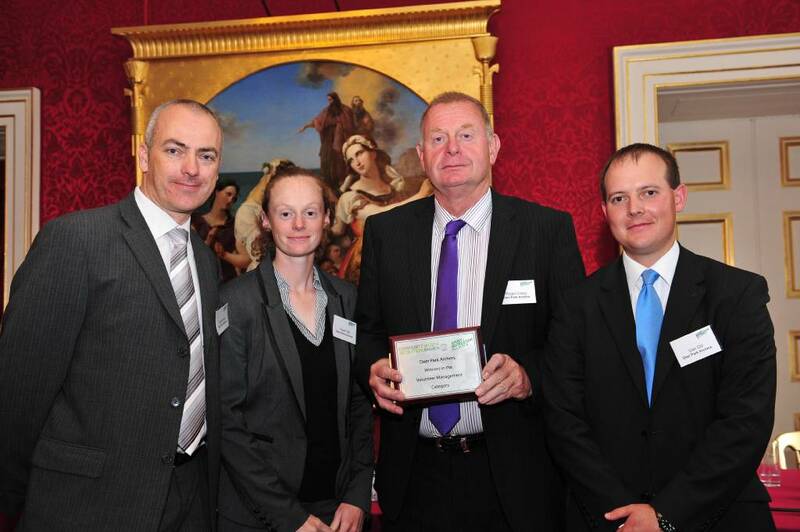 September 2012 – Our coaching team has been nominated for the Sports Coach UK ‘Coaching Intervention’ Award for our programmes working in the Community!